Helen Rae Lurton of Churchville died Saturday, March 16 at University of Maryland Upper Chesapeake Medical Center. Born in Crisfield, MD she was the daughter of Harold and Gertrude (Smith) Evans. She lived there, graduated from Crisfield High School, and met her husband there. Mrs. Lurton retired from the Harford County Board of Education, having taught for a total of 30 years at Aberdeen Elementary School and Hillsdale Elementary School. She was a dedicated teacher who loved her students. An active member of Grace United Methodist Church she supported many ministries to include the Food Pantry. She enjoyed reading, traveling, listening to classical music, and spending time with her husband of 59 years. She was preceded in death by her husband William Lee Lurton, and survived by her brother-in-law, Earl Lurton and several cousins. A visitation will be held at the Grace United Methodist Church on Saturday, from 1:00pm-2:00pm where a funeral service conducted by Rev. Robert Clipp will begin at 2:00pm. Interment will be Tuesday March 26 at 11:00am at Sunnyridge Memorial Park in Crisfield MD. 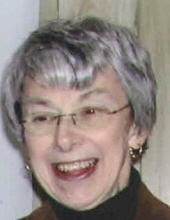 Contributions in her memory can be made to Grace United Methodist Church, 110 W. Bel Air Ave, Aberdeen, MD 21001. To send flowers or a remembrance gift to the family of Helen Rae Lurton, please visit our Tribute Store. 110 W. Bel Air Ave.
"Email Address" would like to share the life celebration of Helen Rae Lurton. Click on the "link" to go to share a favorite memory or leave a condolence message for the family.